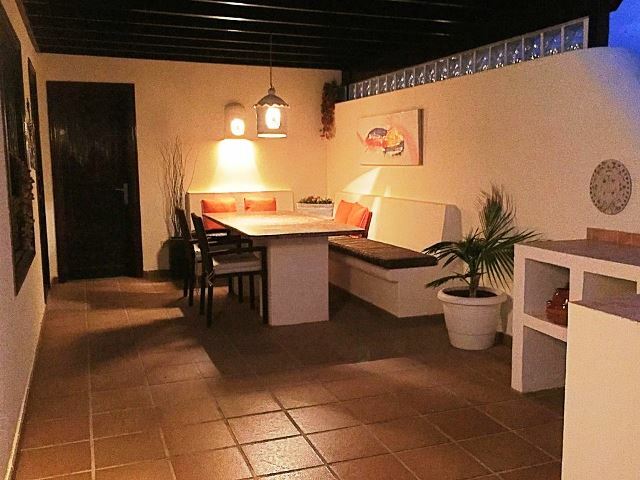 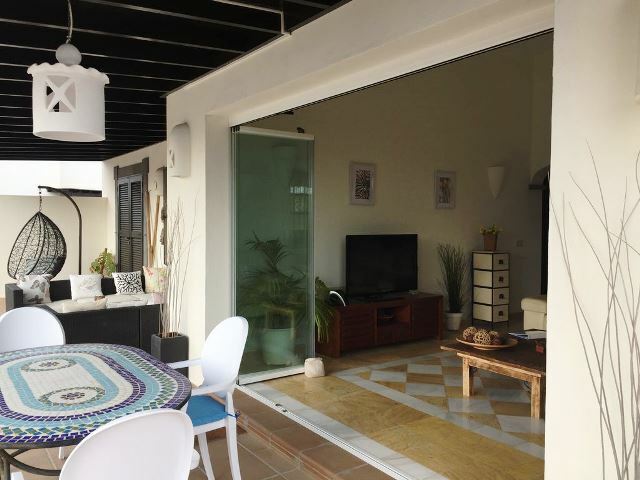 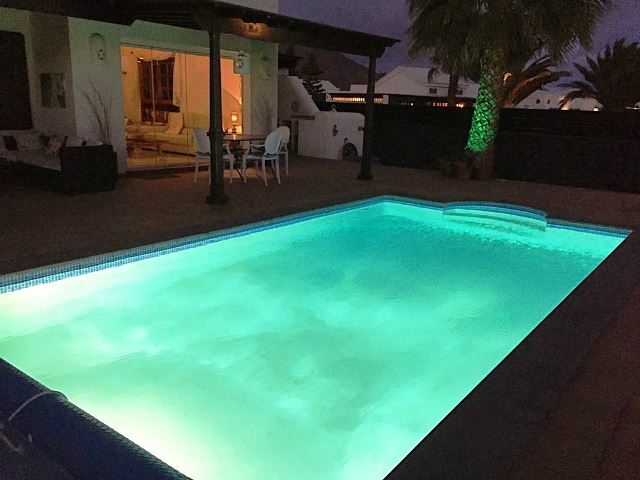 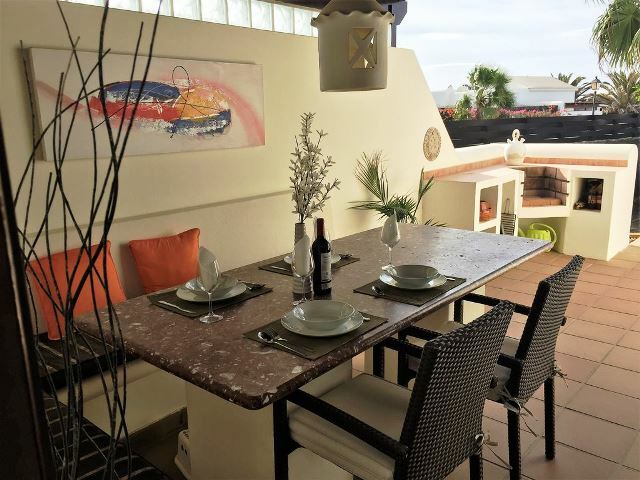 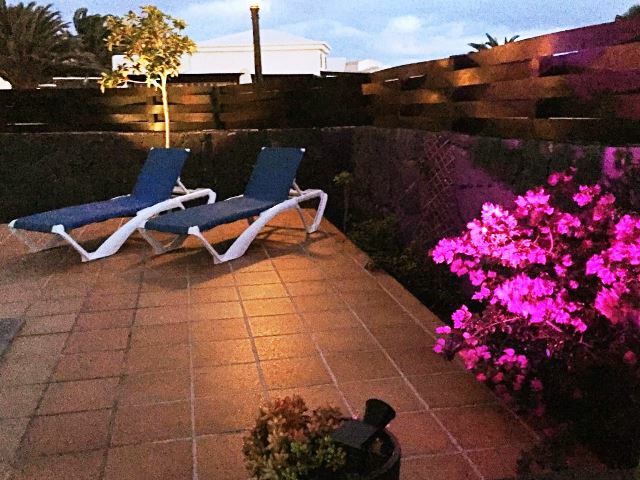 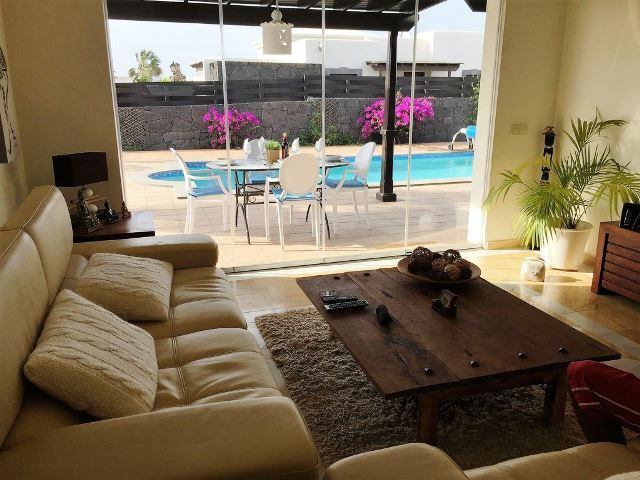 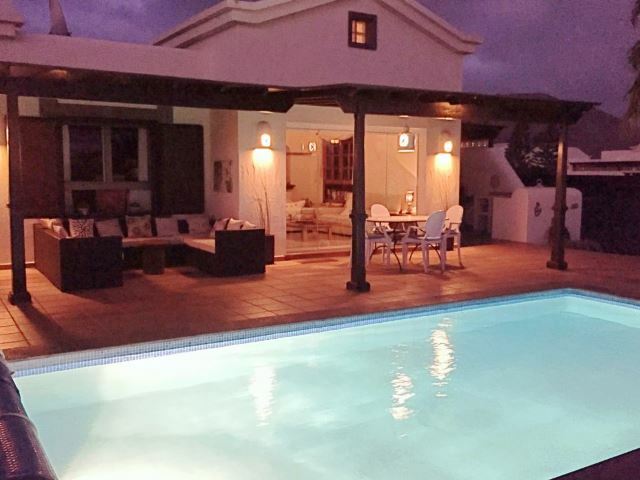 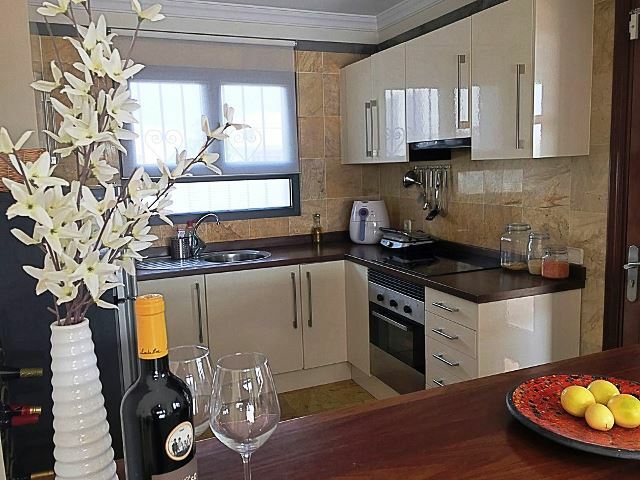 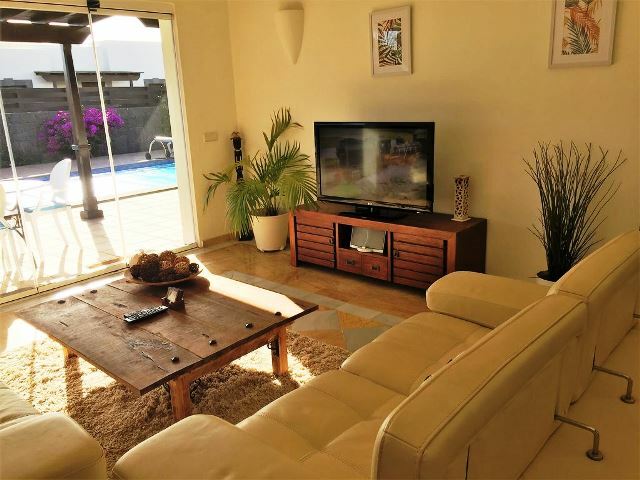 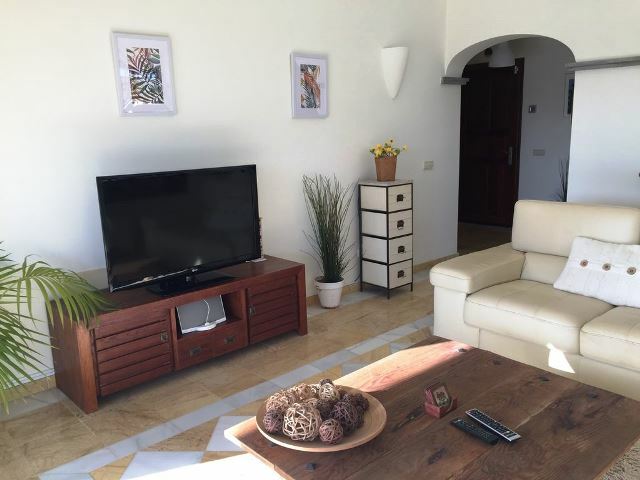 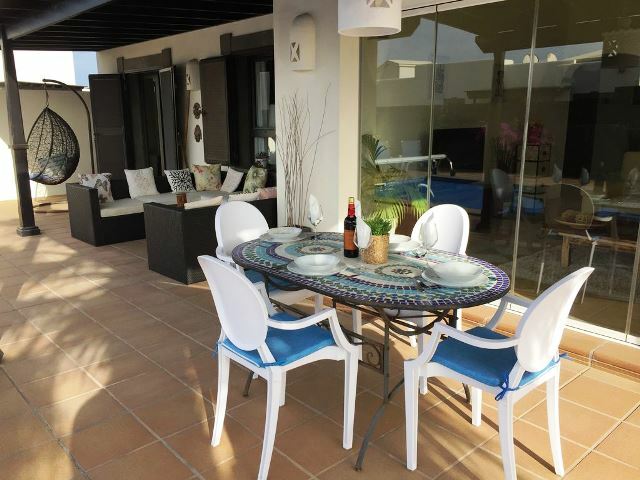 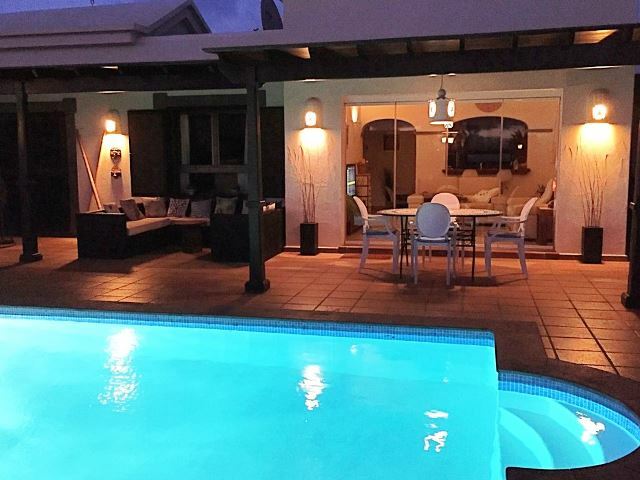 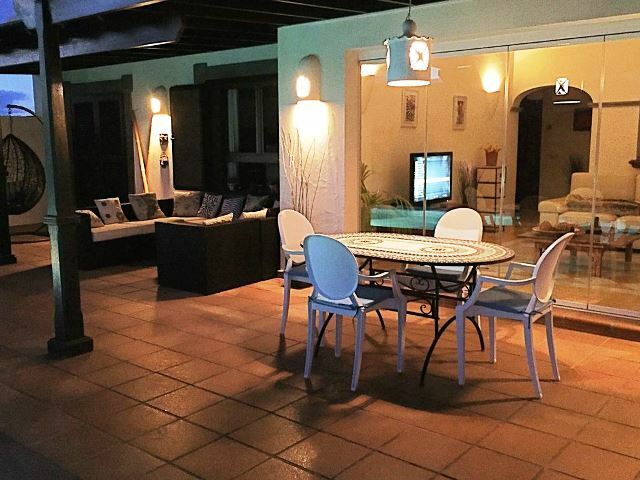 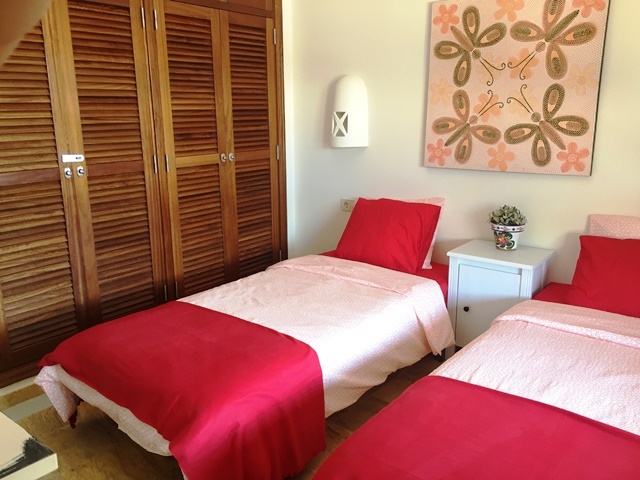 Located in Faro Park, Playa Blanca, Villa Michele is a 2 Bedroom Villa that can sleep up to four people comfortably. 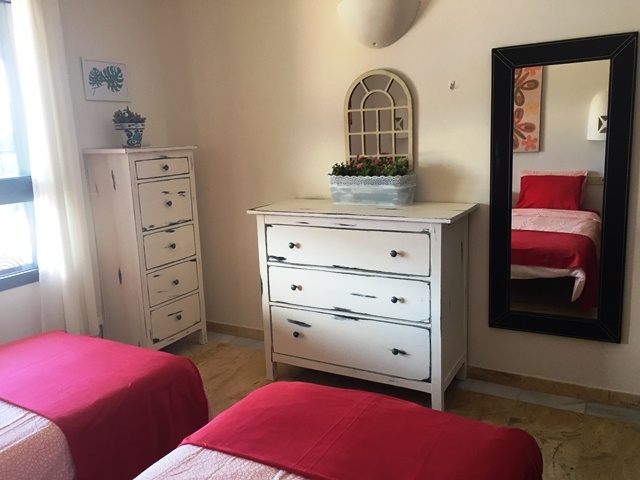 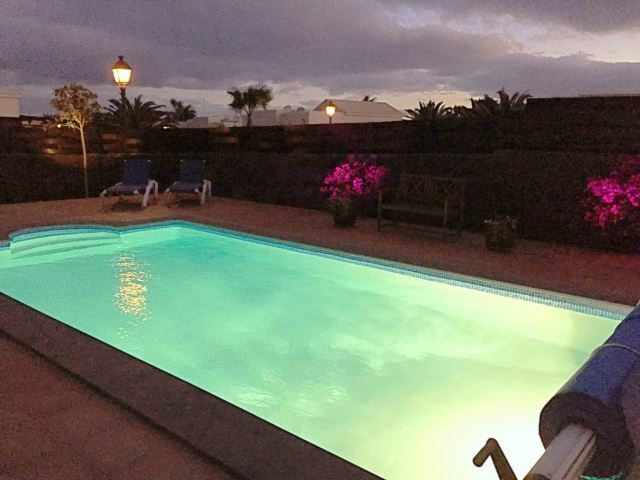 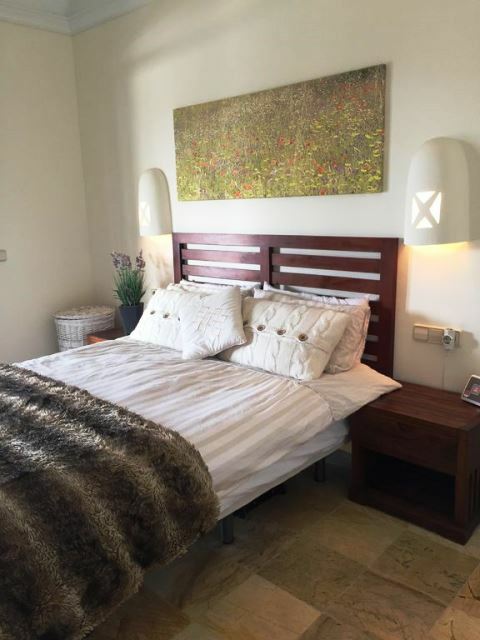 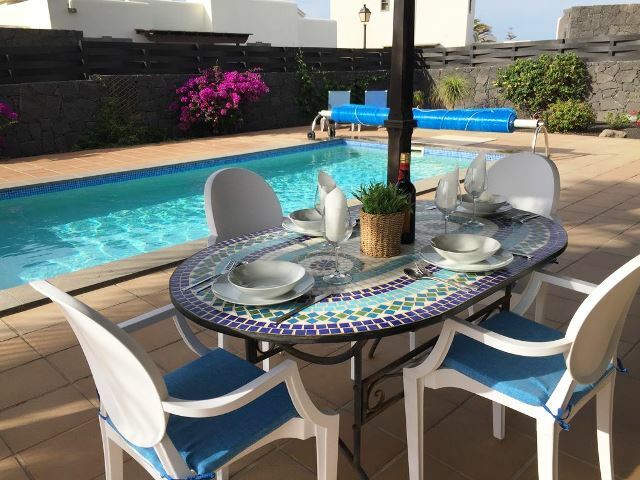 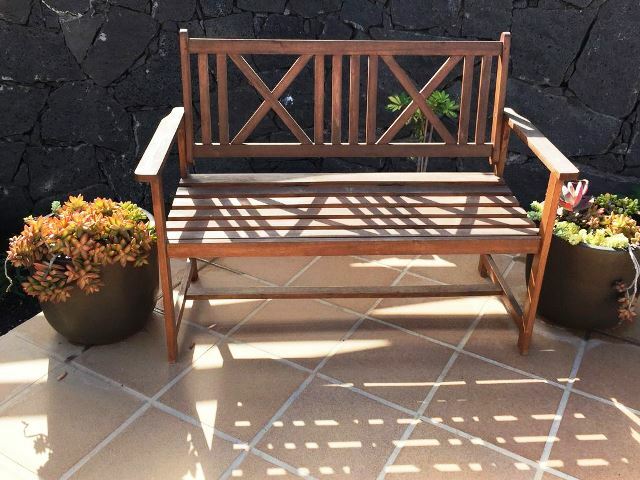 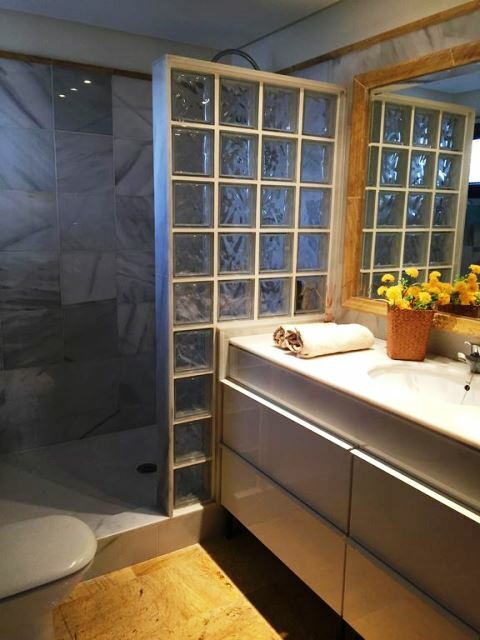 It has 2 Bathrooms, a fully fitted kitchen / utility, Heated Private Pool, Alfresco Dining Area, BBQ, benefits from having Internet TV (ITV, BBC and Sky Sports/Movies) & like all of our villas, it is furnished to the very highest standard. 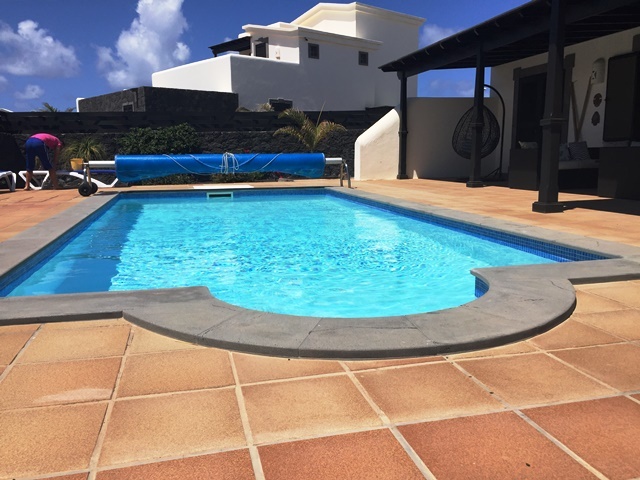 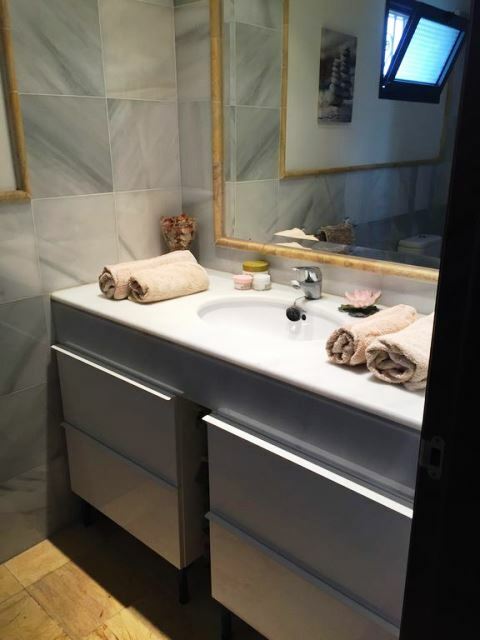 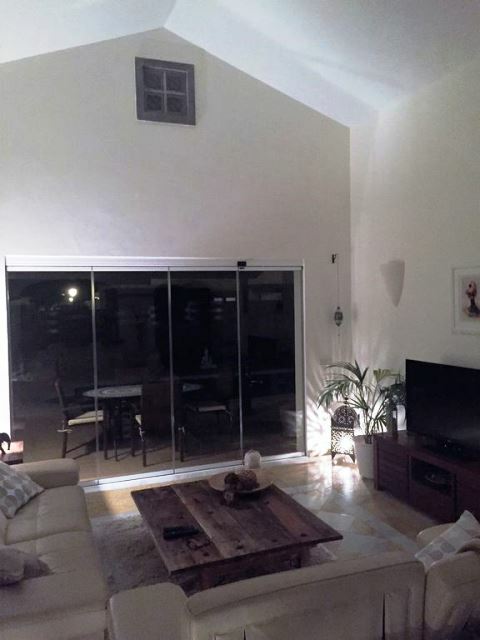 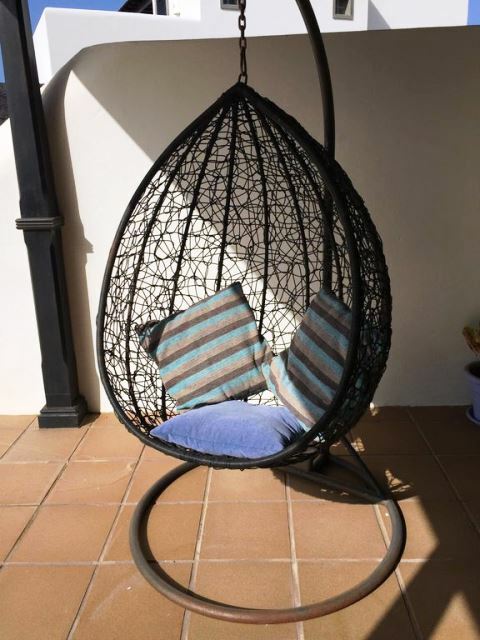 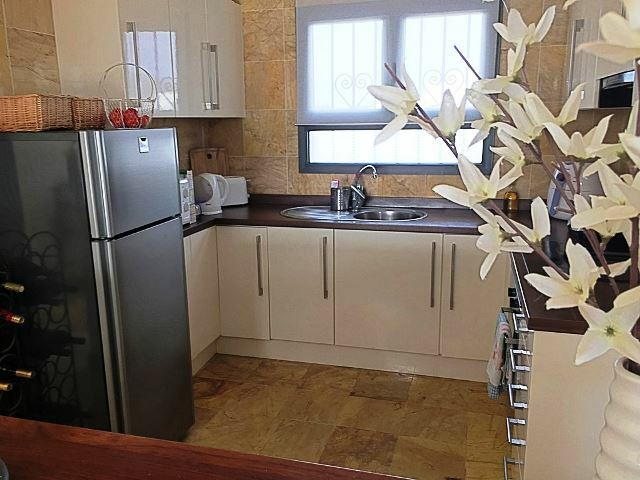 FRom £550 per week (2 sharing in Low Season), Due to the villa having frameless glass curtain patio doors (that appear open when closed), this villa is not suitable for small children. 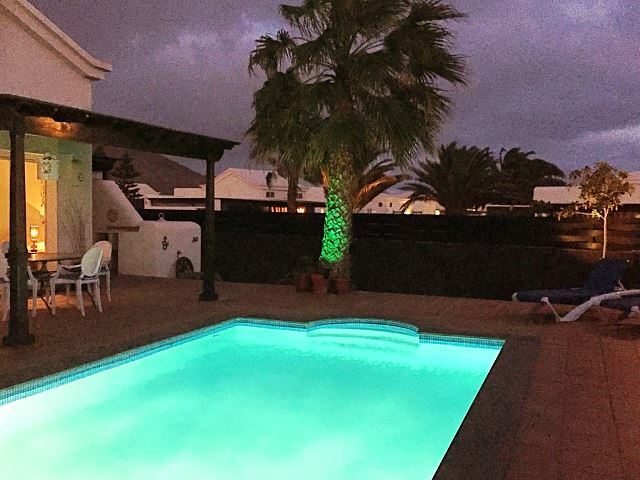 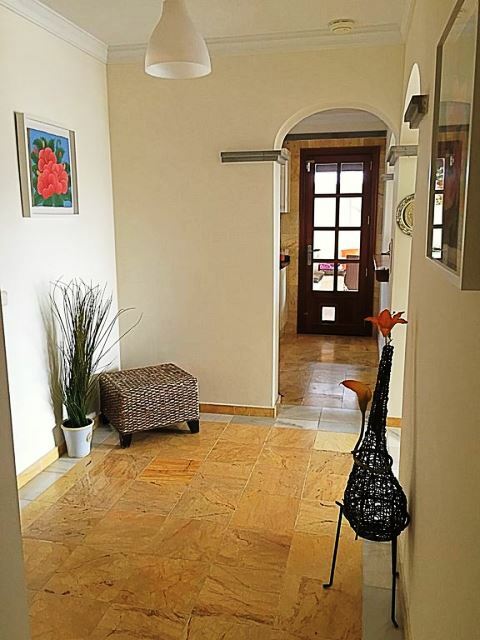 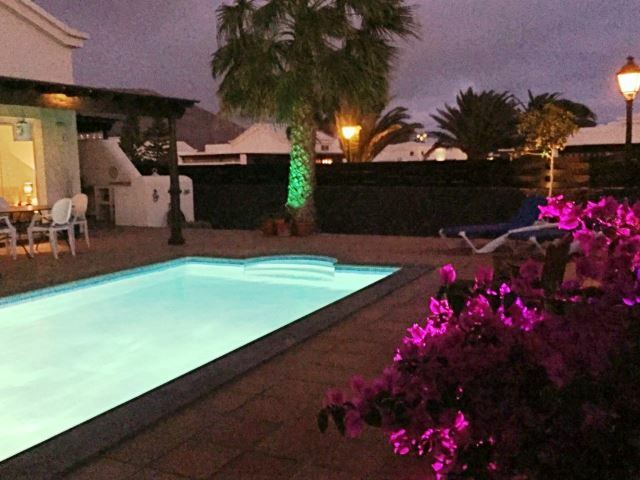 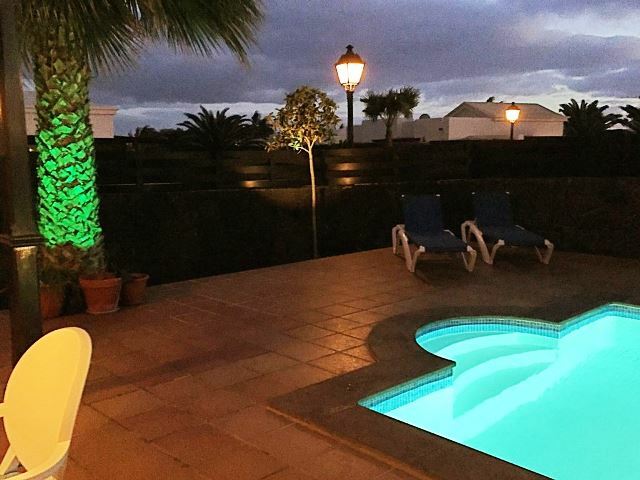 This villa can be hired by calling John or emailing us.